Home » Blog » Does Dentist Play A Vital Role in Tobacco Cessation? Smoking cessation (also called quitting smoking) is the process of discontinuing the habit of tobacco smoking. This tobacco smoke contains nicotine, which is rewarding. Nicotine in tobacco makes the process of quitting often difficult and makes the consumer addictive. A dentist can recognize a patient as a smoker by diagnosing minor changes in the mouth which has a lot of possibilities to later transform into cancer. 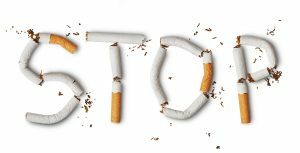 Dentists can help their patients to stop smoking by recognizing oral signs of tobacco use by creating an awareness in prior also by making their patients understand the importance to stop. Then they can refer their patients who wish to stop smoking into smoking cessation services provided by specially trained experts. Not all smokers are ready to quit smoking, some have not considered quitting. Others may be considering stopping but most of them won’t have any idea about taking further steps. By enquiring and providing advice, members of the dental team can help patients from pre-contemplation, through contemplation towards action. A tobacco cessation consultant will assess the degree of addiction and provide appropriate aid to quit the habit such as psychological counseling in sessions, medications, rewards and follow up. Members of the dental team have the potential to help smokers to better health and oral health. To deliver this they need to be clear about their role as part of the primary health care team and to lobby for changes that will allow them to deliver. Our dental team in Apollo WHITE dental have the potential to help smokers to lead better health and oral health. SO, why hesitate? walk-in into your nearby clinic to light up your or your loved one’s future.